We have another gorgeous piece from our Shopping in Aurelia feature on the Theatrics site for you today. This artwork comes from Brigid Malloy, another member of our MIAD artist group. 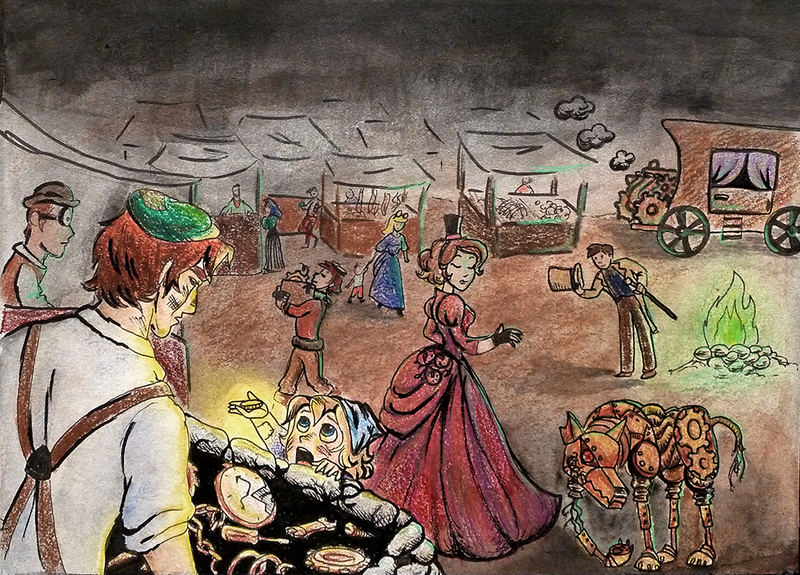 If you happened to check the Advanced World Info page on the Theatrics site the other day, you may have noticed the gorgeous artwork that accompanied the article on shopping in Aurelia. This particular piece comes courtesy of Lauren Franklin from our MIAD artist group. Amidst keeping Aurelia afloat with moderation, calls to action, and video entries, our very own Lisa England continues to find time to write articles as well, such as her latest piece for Mythic Scribes. If you’re not familiar with the site, they are dedicated to offering tips and tricks on writing your very own fantasy world. In this particular article, Lisa offers a few various mediums you could try using to help spread your mythos. As always, click the image to be taken to the article. A couple weeks ago, Lisa went down to the Milwaukee Institute of Art & Design to commission some artwork from some of the students for a class. 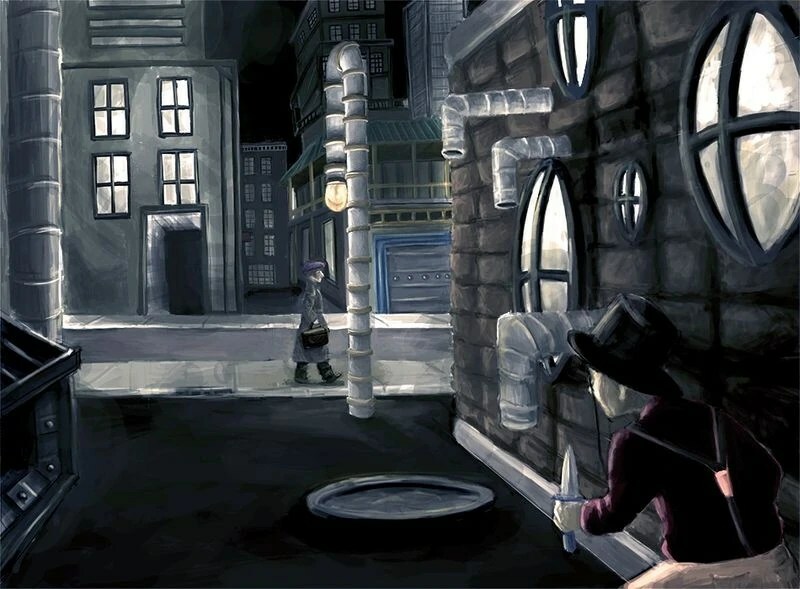 Now we’re starting to see some of the fruits of their effort, like this street scene by Casey Hoagland. Stay tuned for even more great pieces, coming soon! 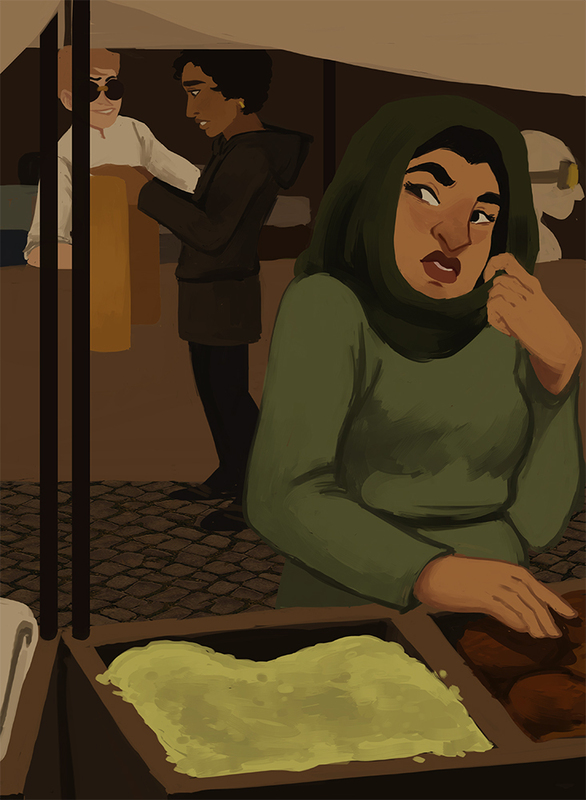 Have a seat, relax, and let go of the stresses and turmoils of Aurelia for a while as you have a bite to eat at Octavia’s Gastronomia, a brand-new story location now rendered in full color by artist Julie Roth.